October has a reputation as being one of the toughest months of the year in Botswana – typically, it’s a time of rising temperatures and of patiently waiting for summer rains. 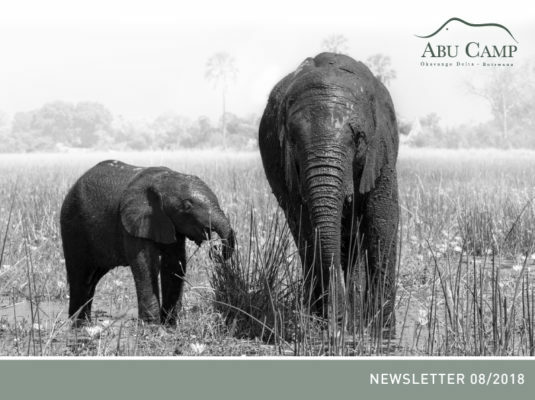 These factors combine, however, to ensure that the game viewing experience at Abu is arguably at its very best during October, as the relative scarcity of resources causes concentrations of game, and makes incredible interactions more likely. Temperatures are now reaching just beyond 40°C (around 104°F) – fortunately we have a number of tricks up our sleeves to keep things cool. The once omnipresent waters of the annual inundation have receded to the point where they are a mere shadow of their former glory, and this means that we have now reluctantly (and of course, temporarily) beached our mekoro until the waters return. The Okavango trees, it seems, are more optimistic than we are about when the rains will begin. Or perhaps, having seen many more seasons than we have, they are better at reading the signs? The easily recognised sausage tree has added a splash of vivid green foliage (as well large maroon flowers) to the island treelines, and we’re anticipating white baobab blooms soon. The wildlife viewing in the Abu Concession just seems to get better and better… We’ve been avidly following the saga of the three female lion cubs, aged around one year, who through a series of interactions with other lions, found themselves prematurely separated from their mother, and then their brother. Their search for food led to one of the three sisters spending time chasing bushbuck at Seba. As this meant she was spending more time in and around the Camp, it was decided that she would need to be relocated for everyone’s peace of mind. In a relatively unusual event, a young bull elephant was found dying of wounds almost certainly sustained in a fight with a larger bull. Tragically, it took him some time to die, and although he was a wild elephant that had not previously been in contact with the Abu Herd, his plight moved the matriarch, Cathy, to spend time at his side. She gently regurgitated water for him and sprayed a fine mist over him, as though she wanted to make his final moments as comfortable as possible. Abu’s growing reputation as an excellent spot for leopard viewing has been underscored this month with more great sightings, which between them have demonstrated almost every form of behaviour that these big cats are capable of. The decline in the numbers of bushbuck around both Abu and Seba is testament to the seeming uptick in our leopard population. 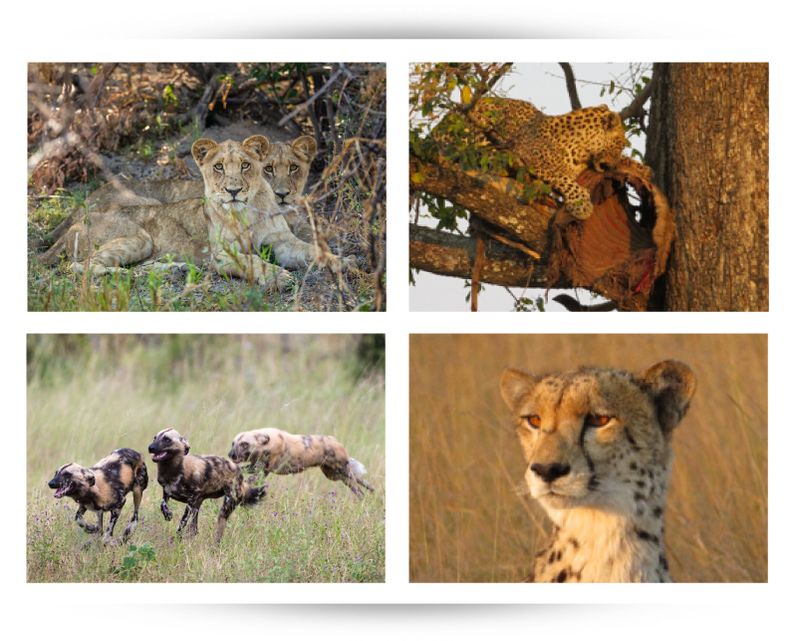 Excellent sightings of cheetah, wild dog and hyaena have rounded out our predator portfolio, while the general game in the concession is abundant. Large herds of buffalo and elephants are present towards the Selby’s area of the Concession, with zebra and wildebeest also being seen in relatively large herds. The Abu Herd continues to enthral every guest who comes to Abu, with the increasingly boisterous antics of Motlotlo and Shamiso, the two male calves, proving particularly entertaining – and educational. This is a rare opportunity to see how calves socialise with each other, as well as with adults. With the emphasis at Abu on respectful interactions with the herd, the elephant team has been working up some new guest activities that incorporate time with the Abu Herd, and also opportunities to explore the bush just as a young elephant would. Motlotlo and Shamiso make new discoveries every day, and we like to think that each of our guests can do the same. That’s all from your Abu October team, other than to welcome (and congratulate) the new GM of Abu, Kemm Wright. We should of course say, welcome back, as Kemm was previously the housekeeping manager here and has more recently been running our sister camp, Seba.